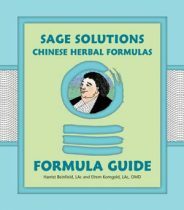 Our repertoire of Chinese herbal formulas and the guides to inform their use include: Chinese Modular Solutions, Sage Solutions, and Gentle Warriors pediatric formulas. Together they constitute a complete herbal dispensary organized around the combination of formulas rather than the blending of individual bulk herbs. Invariably, patients benefit from herbal therapy as well as from acupuncture when they come to our clinic. And because our formulas are clinically effective – made with the highest quality herbs, and manufactured in the United States with the best production standards, in a low-heat, closed system double-extraction process (water and alcohol) – other providers all over the US and in Europe use them as well. 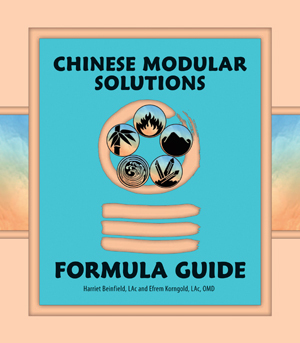 Kan Herb manufactures and distributes Chinese Modular Solutions, Sage Solutions, and Gentle Warriors, and its reputation for integrity and quality has earned the trust of the entire Chinese Medicine community. 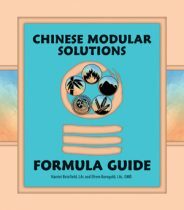 Condensing a multitude of herbs into an integrated repertoire, the 30 basic formulas in Chinese Modular Solutions can be used alone or combined to conform to individual needs. Tonify Qi supplements Nutritive Qi (Ying), invigorates Defensive Qi (Wei), and consolidates Essence Qi (Jing). Tonify Moisture replenishes bodily fluids – it supplements the Moisture of the Kidney, Lung, and Stomach, and protects Yin by consolidating Essence while dispelling Heat. Tonify Red River nourishes Essence, which supports the Kidney, Liver, Spleen and, to a lesser degree, the Heart. The Heart depends upon the Blood, which gives the Mind (Shen) its material basis. Consolidate Qi “tightens the weave” of the organism, as if changing cheesecloth to silk. By helping the Lung, Spleen and Kidney to restrain and contain the Qi, it restores the patency of the membranes – the skin and the gut – that mediate the passage of substances from the outside, in and from the inside, out. Consolidate Red River helps to maintain the quality of Blood and keeps it in its proper locale within the vessels. Replenish Essence contains both animal and vegetable materials that will enrich the primal soil of our psyche and soma, the root of Jing-Shen. In contrast to the formula for supplementing the Kidney, this one emphasizes Essence-consolidating and enriching ingredients. Comfort Shen soothes the Shen by settling the Heart and Liver Yang, nurturing the Heart Blood, and strengthening the Kidney Yin. Unlike the formula for Supplementing the Heart, Comfort Shen emphasizes sedating and cooling. Disperse Qi facilitates the upward and downward, inward and outward circulation of Qi that ensures the equitable distribution of Moisture and Blood. Disperse Moisture regulates the fluid generating, distributing, storing, and eliminating functions of the Spleen, Lung, and Kidney while gently decongesting the circulation of Moisture. Disperse Red River is gentle and moderate in promoting the circulation of Blood, while also nurturing Blood and activating Qi. Purge Qi is designed to strongly mobilize Qi and break through obstructions such as blockage of food in the stomach, digestate in the intestines, and air trapped in the chest or abdomen. It also redirects the reflux Qi of the Lung and Stomach and the upsurging Qi of the Liver. Purge Moisture actively eliminates excess fluid via the skin, Lung, and Bladder. Purge Red River vigorously mobilizes Blood, breaks up congealed Blood, alleviates pain and swelling, promotes the formation of new Blood, and eliminates old or toxic Blood via the uterus and eliminative organs. Purge Cold rekindles Life Fire and eliminates Cold by invigorating Yang, supplementing Qi, and activating Blood. Purge Heat eliminates Internal Heat from within all three Burners as well as from the defensive (Wei), active (Qi), nutritive (Ying), and constructive (Xue) levels of metabolic activity. Purge Damp-Heat can vigorously purge Damp-Heat utilizing ingredients that disperse Qi, dry Dampness, and discharge Heat downward via the intestines and bladder. Purge Phlegm employs herbs that dissolve Phlegm, purge Heat or Cold, tonify Moisture, activate expectoration, and assist circulation and transformation of Moisture by the Spleen and Lung. Purge Internal Wind dispels internal Wind by subduing the excess of the Liver, nurturing Yin and Blood, and clearing up Heat. Purge External Wind enables the organism to mobilize its defensive resources at the surface by activating Qi, Blood, and Wei in the channels and blood vessels of the skin and muscles. Strengthen Wood promotes the functions of the Liver by supplementing Blood, activating Blood and Qi, dispelling Wind and Heat, and relaxing muscles and nerves. Strengthen Fire supports and protects the Heart by supplementing Qi, Moisture, and Blood, activating Blood, and distributing Moisture, consolidating Essence, dispelling Heat, and relaxing the mind. Strengthen Earth promotes and mediates the complex and sometimes conflicting tendencies of the Spleen and Stomach by tonifying Qi, dispersing Qi and Moisture, warming Yang, dispelling Heat and countering prolapse. Strengthen Metal reinforces Wei, replenishes Qi and Moisture, mobilizes Qi downward, dispels Wind and Phlegm, and opens the chest to preserve the Lung’s security, elasticity, receptivity, clarity, and moistness. Strengthen Water replenishes and consolidates Kidney Yin (Essence), invigorates Kidney Yang (Fire), and protects against harm from Dampness and Cold. Harmonize Water and Fire tonifies Blood and Moisture, consolidates Essence, disperses Blood, dispels upper Heat and lower Cold, and calms the mind. Harmonize Fire and Metal tonifies Blood and Moisture, consolidates Qi and Moisture, disperses Qi and Blood, dispels Heat and Phlegm, and calms the mind. Harmonize Metal and Wood tonifies Blood and Moisture, disperses Blood and Qi, dispels Heat, Wind, and Phlegm, and moderates the intensity of sensation and feeling. Harmonize Wood and Earth disperses Qi, Moisture, and Blood, tonifies Blood, dispels Wind, Heat, and Dampness, activates digestion, relieves tension, and focuses attention. Harmonize Earth and Water consolidates Moisture and Qi, disperses Qi, Moisture and Blood, replenishes Essence, dispels Dampness, Wind, Cold, and fortifies the will. Sage because they embody the wisdom of centuries of knowledge and experience. Solutions because they address the real problems that patients face. Basic Boost renews bodily strength, mental determination, and enthusiasm by fortifying the Three Sources of Qi, the Spleen, the Lung, and the Kidney. Passion Potion strengthens the Kidney Network, replenishing the essences that fortify the Marrow (the bones) and the Sea of Marrow (the brain). By this means, Passion Potion promotes the body’s intelligence and its capacity for potency, creativity, overall vigor, and long life. Wise Woman’s Well restores deficiencies of Moisture, Blood, and Essence. Its primary objectives are to strengthen the Kidney, secure Essence, nourish the Liver, support the Spleen, and harmonize the pivotal relationship between the Kidney and Heart. Marrow Matters is a synthesis of those formulas successfully used in Chinese clinical trials. Its therapeutic objectives are to invigorate the Kidney and Liver (strengthen bones and tendons), replenish Essence, fortify Yang, and vitalize Blood. Feed Memory nourishes and invigorates the Sea of Marrow (brain) by supplementing Qi and Blood, strengthening the Kidney and Heart, activating circulation, removing stagnation, clearing the Upper Orifices (sharpening the senses), and awakening the Mind. Resilience is based upon both ancient tradition and modern research. It tonifies Qi and Wei, nurtures Blood, secures and replenishes Essence. It benefits the Spleen, Lungs, Heart, Kidney and Liver. In modern terms, because it contains adaptogenic ingredients like astragalus and ganoderma, it improves the ability of the body to respond to stress and is appropriate for general conditions of debility and lowered resistance. Move Mountains supplements and invigorates the Three Treasures (Jing, Qi and Shen), enhancing integrity, equanimity, and pliancy – the ability to adjust to taxing demands while still maintaining equilibrium. It can be used as an all-purpose tonic. Chill Chaser, if administered promptly at the first signs of a Wind Cold invasion mobilizes the wei (Defensive Qi) to thwart the onslaught of external pathogenic influences. Bug Beater is a unique variation on the theme of beating back an assault by Wind and Heat. This formula borrows from the herbal recipes of Zhong Gan Ling and Gan Mao Ling. Phlogisticlean dissipates Phlegm nodules by purging Phlegm, Heat, and Toxins from the Blood and lymph. Enviroshield bolsters resistance by tonifying Qi and Blood and dispelling the external pathogenic factors that have penetrated the Wei and Qi defensive layers corresponding to the body surface, the Upper Orifices (sense organs), and the Lung, Stomach, and Intestines. Head Clear supports the Defensive Qi (Wei) by helping the body to quickly and efficiently evict pathogenic influences (External Wind, Heat, Cold, and Damp) and eliminate Phlegm, while at the same time supporting the Stomach and Lung, two of the primary sources of healthy Qi. It is appropriate for any type of congestion (stagnation or accumulation) in the head and Upper Orifices (sense organs). Loosen Solution relieves tension by clearing the senses, calming the Mind, soothing nerves, and relaxing muscles by clearing Heat, purging Wind, regulating Qi, supplementing Blood and Moisture, and adjusting the functions of the Liver and Heart. Loosen Solution is for those who work in excess of the time they spend resting and replenishing. Ease Strain quiets and moors the Mind (Shen) by transforming Phlegm, clearing Heat, extinguishing Wind, countering spasms, repressing Yang, eliminating Toxins, and replenishing Yin (Blood and Moisture). In a broader context, the herbs harmonize the interaction of the five viscera and faculties of consciousness: the Kidney-Zhi (instinctual awareness), the Heart-Shen (unrestricted awareness), the Lung-Po (subliminal awareness), the Liver-Hun (somatic awareness), and the Spleen-Yi (cognitive awareness). 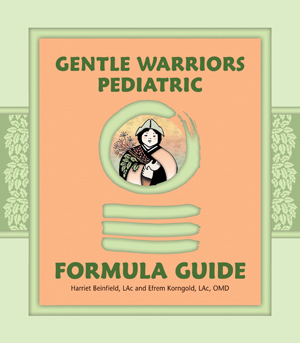 Got Rhythm harmonizes the interaction of the Kidney, Liver, and Spleen, adjusts the circulation, and amends deficiencies of Qi, Blood, and Moisture, preventing problems from developing and correcting them when they occur. This formula is specific for restoring and regulating healthy cycling in women from menarche to menopause. Unlocking the Gate maintains the functions of the urogenital system that are governed by the Liver, Spleen, and Kidney networks: to facilitate the flow and discharge of fluids, to encourage the circulation of Qi and Blood, to eliminate Heat and Dampness, to reinforce Qi, and to conserve the body’s Vital Essence (Jing). Cluster Dissolving is principally inspired by Ping Xiao Dan (Calm Dispersing Elixir), conceived by the contemporary Chinese physician Jia Kun and formulated to ameliorate and potentially reverse critical forms of stasis that include softening masses, eradicating or suppressing pathogenic influences, activating circulation, dislodging phlegm and ecchymosis, dispelling toxins, strengthening the Middle Burner, and nurturing Qi, Moisture, and Blood. The choice of ingredients derives from classical and modern formulas with similar underlying objectives: to aggressively eliminate stasis by dissolving accretions and purging toxins, while protecting Righteous Qi (Zheng Qi). Digest Aid normalizes digestion by alleviating Qi stagnation and food accumulation. It is for those who experience digestive complaints as a result of overeating, irregular eating, a “weak” stomach, food sensitivities, or reactions to bad food. Middle Mover removes food stagnation by assisting digestion, regulating Qi, and activating peristalsis. It is appropriate for almost everyone, benefiting those with sluggish digestion, whether excessive or deficient, weak or strong, undernourished or overindulgent. Max Lax – The combination of gentle and effective laxative herbs with those that harmonize the Qi of the Stomach and Intestines, moisten the intestines, relax intestinal spasms, and clear the Lower Burner of Damp Heat and Toxins, makes Max Lax a safe and potent remedy for overcoming occasional irregularity. Lax Lite – In combination with appropriate changes in diet, exercise, and eating habits, Lax Lite will gradually restore a more comfortable and natural rhythm to elimination for those with longstanding irregularity. Weight Manager – Most people with weight problems in our culture are found at the overweight end of the spectrum. In most cases, regardless of the precipitating causes, regulating Yang and promoting the function of the Kidney and Spleen will help to modulate and correct imbalances of digestive, assimilative, and eliminative functions. Accordingly, Weight Manager supports and regulates Yang, promotes the normal functions of the Kidney and Spleen, and aids in the elimination of accumulated and undigested food, surplus fluid, Damp Heat, and Phlegm. 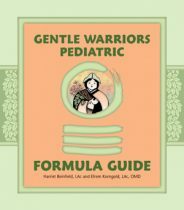 These pediatric formulas support and protect the welfare of children, providing safe solutions to pediatric problems without adverse effects. The alcohol has been substantially replaced by vegetable glycerin. Windbreaker clears Wind, Heat, and Phlegm, relieving the signs and symptoms of acute invasion of external pathogenic influences. Chest Relief – Along with subduing the reflux Qi of the Lung, Chest Relief will soothe the throat and chest by gently dispelling Phlegm, aiding expectoration, replenishing Moisture, rectifying the Qi of the Lung, purging Wind and Heat, and bolstering the Nutritive (Ying) and Defensive Qi (Wei). Pipe Cleaner will expel Hot Phlegm (normalize mucus secretions), readily and effectively allaying congestion and difficult breathing. Open Air relaxes the chest, opens the Lung, disperses and descends the stagnant Lung Qi, and promotes expectoration. Deep Breath strengthens the Lungs and Kidneys to resolve the underlying weakness that makes an individual vulnerable to stagnation and reflux of Lung Qi and accumulation of Phlegm, Damp, and Cold in the chest. Grow and Thrive is a nutritive tonic that fosters robust growth by strengthening the Spleen and Kidney (the sources of post-natal and pre-natal Qi) and promoting the adequate assimilation and smooth passage of food and fluid through the Stomach and Intestines. Tummy Tamer relieves the stagnation of Qi and food that results in the signs and symptoms of indigestion. Easy Going is a modification of Tummy Tamer that, in addition to eliminating food stagnation and accumulation, activates the Qi of the Intestines to correct patterns of acute and short term bowel irregularity. Belly Binder is also a variation of Tummy Tamer and checks leakage from the Intestines while relieving the symptoms of food stagnation and accumulation. Fire Fighter dispels Heat, Damp Heat, and Toxins from the Blood and promotes healthy circulation and distribution of Blood and Moisture in the skin and mucus membranes. Quiet Calm relaxes the muscles and nerves, clears Heat, dispels Phlegm, focuses the Mind, and elevates the Spirit. The Five Peacemakers are constitutional formulas that support a child’s nature–the fundamental pattern that shapes each individual from birth through adulthood. Wood Builder modulates the dynamics between Wood and Earth (Liver and Spleen) and Metal and Wood (Lung and Liver). It is the key formula for the Wood Child. Fire Starter modulates the dynamic between Fire and Metal (Heart and Lung) and Fire and Water (Heart and Kidney). It is the key formula for the Fire Child. Earth Maker modulates the dynamic between Earth and Water (Spleen and Kidney) and Wood and Earth (Liver and Spleen). It is the key formula for the Earth Child. Metal Worker modulates the dynamic between Metal and Wood (Lung and Liver) and Fire and Metal (Heart and Lung). It is the key formula for the Metal Child. Water Seeker modulates the dynamic between Water and Fire (Kidney and Heart) and Earth and Water (Spleen and Kidney). It is the key formula for the Water Child.